Nice wallpaper... Meyrin is cute and that is all that matters!!! Good Job and Keep it Up!!! she is on archangel side and ZAFT side like Athrun.... nice!! I wonder who will like her at the end? >=0000000~~~~~!!!!!!!! hope to be me! I like this. It's cute and simple and its a good scan of Mey. Meyrin and her sister are both beautiful! I love these sisters! awsome wallpaper! 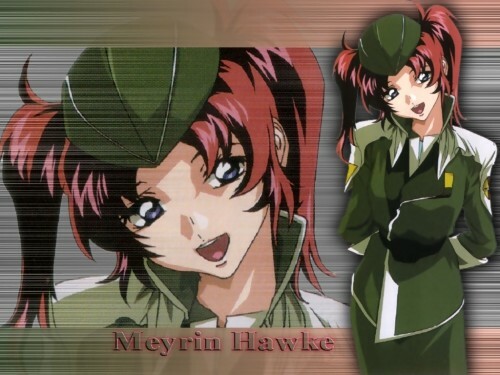 meyrin have died in the accident airplane.